In this post, we share LinkedIn lead generation tips to help you overcome the inevitable lulls associated with LinkedIn marketing. The business landscape has steadily shifted over the last decade or so. No longer do sales have to rely on marketing support to provide them with a constant stream of quality leads. To be effective in sales today, one has to master the art of lead generation, and that involves getting creative about where you source your leads from. In what is a connected world, a healthy marketing strategy has to embrace social media marketing. And when it comes to the feasibility of social networks for business leads, LinkedIn is a goldmine waiting to be tapped. It is right up there in terms of the most effective platforms for lead generation. That is a claim supported by 93% of B2B marketers. Although lead generation on LinkedIn is a numbers game, the whole idea is not to generate leads for the sake of generating leads. Ideally, what you want is to be getting the right kind of links. There is no much point having a thousand connections yet they don’t translate into much. That’s why you need to have a solid LinkedIn lead generation strategy in place. Before all else, you need to have a solid foundation in place. A solid foundation involves building a powerful personal brand that enhances your LinkedIn presence. 1. 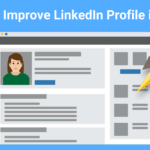 Filling out all the required sections on your profile – name, LinkedIn headline, professional profile photo, LinkedIn cover photo, summary section etc. 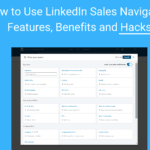 Sales Navigator is a social selling platform by LinkedIn that gives you a plethora of features designed to help you unearth the right prospects and establish trusted relationships. It is available on a free trial to help you decide whether it’s helpful in your sales prospecting efforts or not. Once these basics are out of the way, it’s time to get down to business. As with any other social media platform, making any meaningful headway on LinkedIn involves rolling up your shirt sleeves and getting your hands dirty. There are no two ways about it really. You’ve got to go out there and get your charm on because connecting and engaging is the name of the game. The search feature on LinkedIn can make the job easier by allowing you to hone in on a target audience that appeals to you. Luckily, it doesn’t get any better than here since LinkedIn users are all about detail, outlining everything from what projects they are focusing on, to which office they work from, the teams they work with and so on. 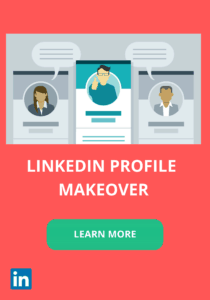 Better yet, you can take advantage of Sales Navigator which provides a set of useful features that you won’t find in a personal account or other premium LinkedIn subscriptions such as LinkedIn Recruiter or Recruiter Lite. • Providing a way to contact users via the InMail function etc. This is all good, save for one thing: it is time-consuming since you have to do it manually. That’s where LinkedIn sales tools such as Octopus CRM come in. This is a LinkedIn automation software (more about automation tools later) which takes the hard work out of your prospecting efforts by simply automating everything, leaving you to focus on other important business. 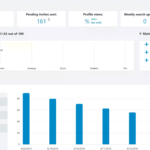 For the monthly price of two of your favorite coffees, Octopus CRM can automatically sweep through hundreds of profiles at a go, send personalized connection requests to 2nd- and 3rd-degree connections on your behalf, auto-endorse your connections’ skills and much more! Getting results on LinkedIn doesn’t have to be a time-consuming endeavor. One of the best ways to enhance your presence on LinkedIn is to regularly publish content on the platform. When you create and share content that your connections find relevant, they are more likely to engage with it and even go one further and share those ideas with others outside of your immediate network. 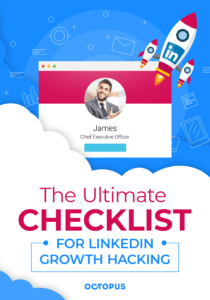 This increases your reach on LinkedIn, and if your content has value, over time, you will establish yourself as an authority, the result of which is an increase in new connections and opportunities. LinkedIn Pulse is one tool you can leverage to get your content beyond just the couple hundred or thousand connections in your network. This is a LinkedIn lead generation space that gives you a wider audience to tap into, and it even allows for specialized targeting. Most importantly, Pulse absolves you of the need to do a lot of promotion legwork since it is integrated into your LinkedIn profile. What’s more, posts and pages published in LinkedIn Pulse are indexed by search engines, increasing your chances of being discovered since they are afforded SERPs preference – just like article directories. By publishing content that gives your readers value at least twice a week, it can give you a massive boost in organic search visibility, unique visitor traffic, and relevant referral traffic when you link back to your landing pages. Just remember to create content that gives your readers value, and publish the posts on your website first to allow Google 14 days to index the content before republishing on Pulse. LinkedIn groups are collections of individuals with similar needs, skills, likes etc. They are beneficial in the sense that you learn a lot and are an opportunity to stay on top of the latest happenings in the industries you’re targeting for sales. As well, they are a great way to gather insights on what’s happening within a prospect’s business – if they are recruiting, their activity, projects they have in the pipeline and so on. More importantly with relations to leads, LinkedIn groups are a great way to market yourself on the platform without directly promoting your products or services. The idea is to provide group members with the answers they seek, spark up discussions and debates and use content marketing to position yourself as a thought leader in your area. Your LinkedIn company page is a promising piece of real estate waiting to be turned into gold dust. Contrary to the “outbound” strategies we have discussed, your LinkedIn company page is what you would call an inbound strategy. You see, the prospects you’ve been wooing through connections and groups will most likely revert to your profile to learn more about you. Yeah, it’s a two-way street on LinkedIn too! This is why you should optimize your profile to drive sales. In addition to having a fully complete profile, make sure to link the company page to your company website and other social media profiles like Twitter, Instagram, or wherever else you’re marketing. Also, don’t forget to point the company page to the desired landing pages. This cross-promotion strategy should also extend to all your marketing communications, including email signatures, blog posts, white papers and more. As alluded to earlier, LinkedIn sales tools like Octopus CRM can save you innumerable hours by automating all the tasks on LinkedIn so you don’t have to do it manually yourself. 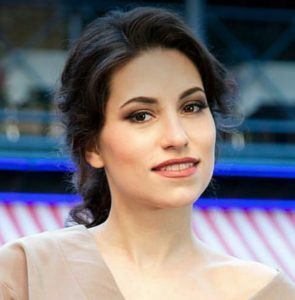 In short, using automation software is akin to engaging autopilot for LinkedIn. They can help you achieve a whole lot more than just acquiring valuable leads. LinkedIn is a remarkable platform for businesses to source for leads. So remarkable that it is hard to think of a more viable tool to build solid B2B connections. 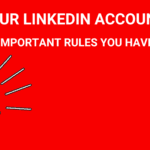 This is for the simple reason that unlike other social media sites, LinkedIn is strictly designed for building business connects. And that can only be good news for any business prospecting for leads. If used right, this is a platform that can help generate plenty of targeted leads for your business that eventually ends up converting. And if you can leverage a good LinkedIn prospecting tool, getting real results won’t have to take you hours of work every single day. Follow these LinkedIn lead generation tips and it’s only a matter of time until you start seeing some real business benefits of using LinkedIn.